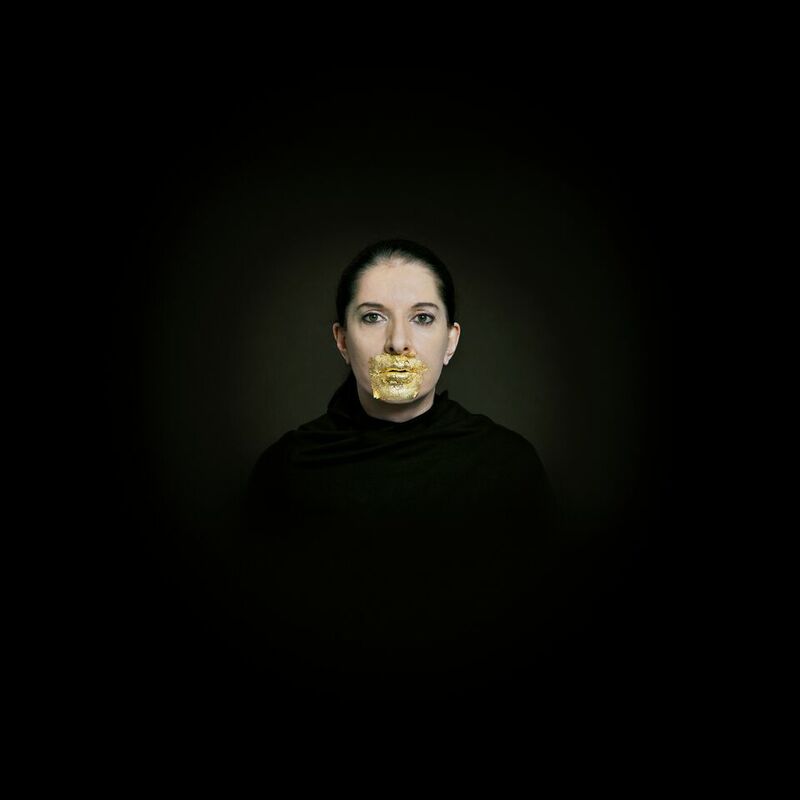 Italy’s first retrospective devoted to the work of Marina Abramovic. 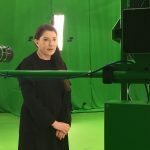 Palazzo Strozzi is to present Italy’s first retrospective devoted to the work of Marina Abramovic, one of contemporary arts most celebrated and controversial figures. Abramovic revolutionised the idea of performance art, testing the limits of her body and its potential for creative expression. 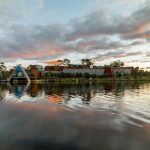 Italy was chosen by the artist as an important stop for this major retrospective exhibition, as the country has played a significant role in Abramovic’s life and in the development of her art. 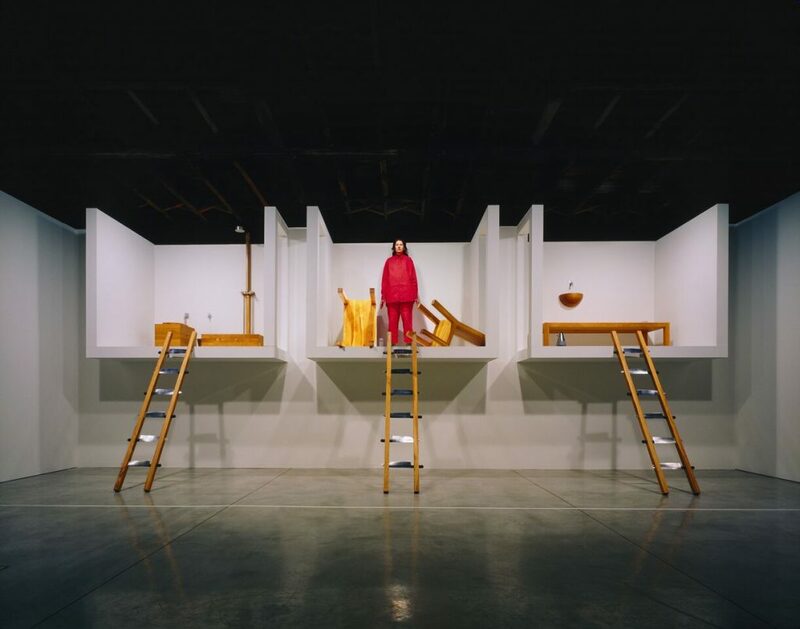 Abramovic’s work flourished in the time she spent in Italy in the 1970s – when she enjoyed international success with performances in Rome, Milan, Naples, Venice and Bologna. The Cleaner also marks the first exhibition at Palazzo Strozzi devoted to a female artist. Marina Abramovic will exhibit throughout the entire venue, interacting with this unique Florentine site across the piano nobile, its famed courtyard and the underground ‘Strozzina’, her work acting as a reminder of the value the Renaissance period placed in the individual. In the past 50 years Marina Abramovic has made an indelible mark on our collective imagination”, said Arturo Galansino, Director General of the Strozzi. “Like in a house, you only keep what you need and you clean away your past, your memory, your destiny”. This mesmerising retrospective brings together 100 works by the artist, offering visitors an overview of the most celebrated pieces in her career stretching from the 1960s to the 2000s – with videos, photographs, paintings, objects, installations and re-enactments of her celebrated live performances by a group of artists specially selected and trained for the show. The exhibition includes works which were performed in Italy during a period of considerable success for the artist, including her seminal Rhythm (1973-5) works and Imponderabilia (1977), where the audience was forced to pass between the naked bodies of Abramovi? and her then partner, German artist Ulay, who were standing either side of a doorway. Abramovi? and Ulay lived in a Citroën van, traveling ceaselessly around Europe for three years – the van will be displayed in the courtyard of Palazzo Strozzi. The tragedy of the war in Bosnia in the 1990s provided the inspiration for Balkan Baroque (1997), which earned Abramovi? the Leone d’Oro at the Venice Biennale in 1997 and which became a metaphor against all wars. 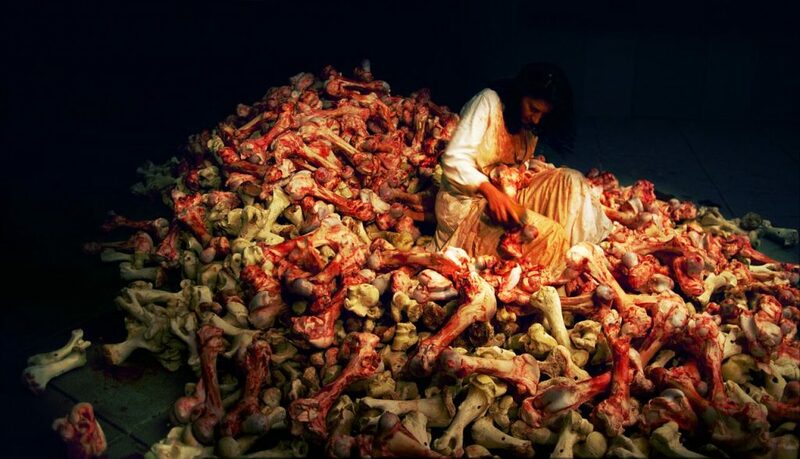 In the performance the artist washes 1,500 ox bones, one by one, in a dark cellar, scraping pieces of flesh and cartilage off the bones while singing traditional Serbian songs. 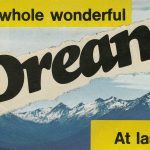 More recent works, such as The Artist Present (2010), will also be showcased in the exhibition – in which, mute and motionless, for three months and over 700 hours at the MoMA in New York, Abramovi? stared at 1,675 people who sat opposite her, highlighting the spiritual communication between the artist and the audience which has become a fundamental element of her work. On Saturday 22 September, at 15.30 the artist will be speaking at a special event, tickets for which are already sold out, entitled Marina Abramovi? Speaks organised by the Fondazione Palazzo Strozzi at the Teatro del Maggio Musicale Fiorentino. Talking to Arturo Galansino, the artist will address some of the themes in her existential and creative development, reviewing the stages in her career from the early days in Serbia and her early success in Italy to her most recent and important performances all over the world. 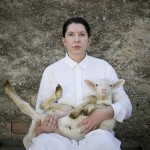 This entry was posted in EXHIBITIONS, NEWS and tagged Art in Italy, Marina Abramovic, Palazzo Strozzi, The Cleaner. Bookmark the permalink. 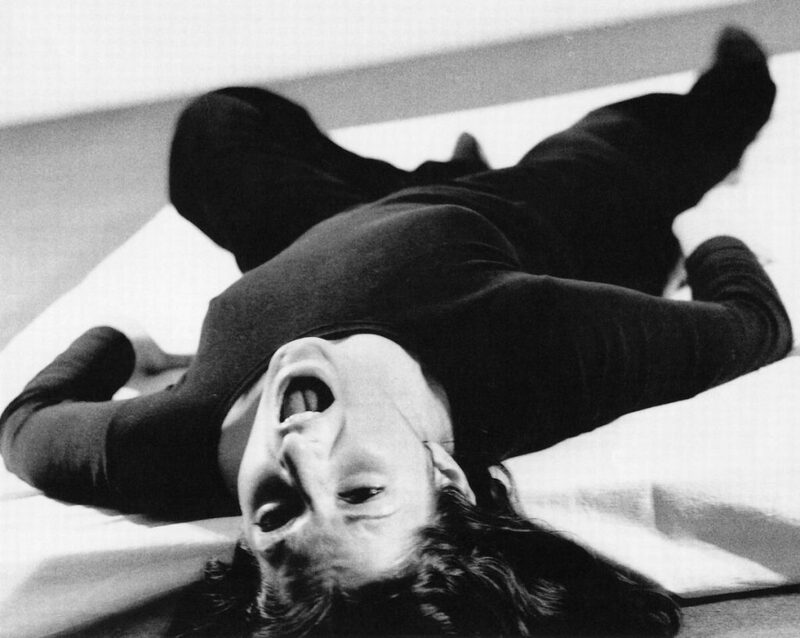 Marina Abramovic smashed over the head with a portrait of herself by Czech man.